I've never had the pleasure of writing a venue review of a brand new venue. 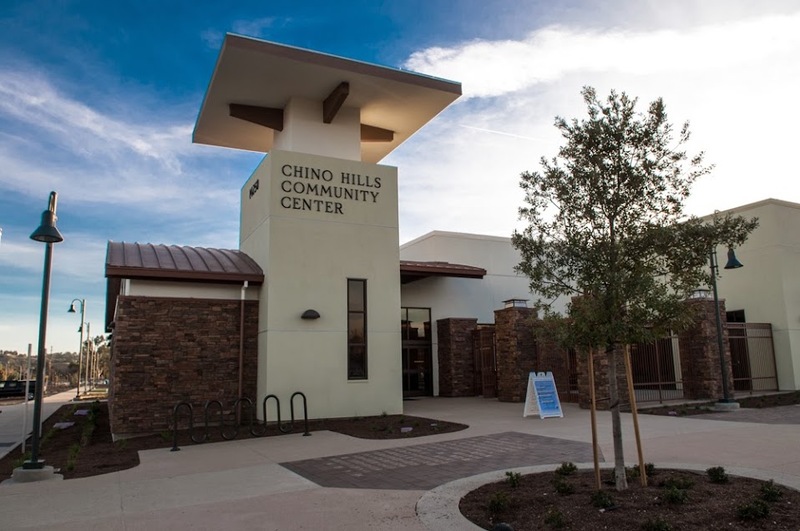 As a resident of Chino Hills for over 20 years, I'm very excited to announce that the Chino Hills Community Center is now open. And though it's such a wonderful place that many brides will find it on their own I'm putting up a review of this place because I write these article not for the benefit of the venues but the readers who are looking for good venues. Many years ago there was a large public park with baseball fields, soccer fields located in the heart of Chino Hills on Grand and Peyton Ave. The city moved the park to a less busy part of town to make way for the Shoppes of Chino Hills and the new city hall. It was moved to an area close to Ayala High School. In the general area was McCoy Equestrian Center. Between McCoy and the new park was a plot of open land that has been developed into a lovely new community center. The city did a wonderful job with it. We've been talking about adding a community center for well over a decade and things only got worse when Diamond Bar (the city next door) came up with their own wonderful Community Center around a dozen years ago. Why this is important to our community is because the city of Chino Hills more or less came from a grass roots effort from residents of Chino to start it's own city. Having struck a rather horrible deal with the County of San Bernardino it's been a bit of an uphill battle for our city since incorporating in the late 1980's. You don't hear of massive debts, or large scandals coming from our local government in Chino Hills. The city hall and library was funded before it was built. The city has been about prudent growth and though at times it seems business unfriendly it wanted to be first and foremost a bedroom community. 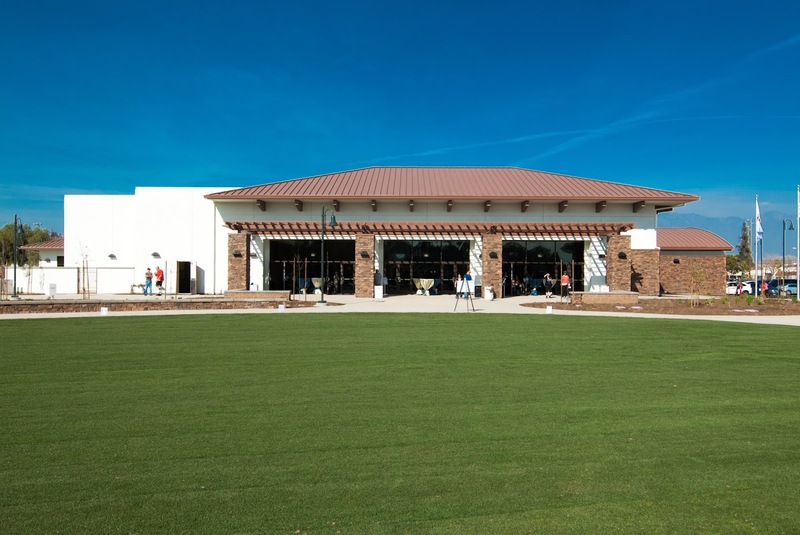 Watching the city grow and mature has been a fantastic experience and having a community center is something we can be proud of as residents. If you've never had the experience of buying your first home you'll know what it's like to spend days getting the house ready for your first party. 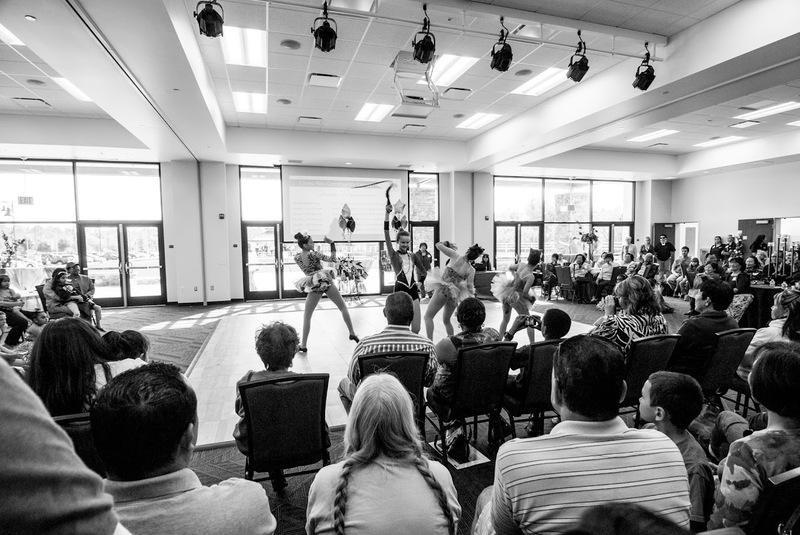 Our community center shined on it's gala grand opening. Part of the reason I say the city doesn't need my help to promote this venue is that it offers one thing that's in short supply. You can bring in your own outside catering. For some of you, this means you can realize you life long dream of having the In & Out Burger truck show up and cater your wedding. By "some of you" I, of course, mean grooms. 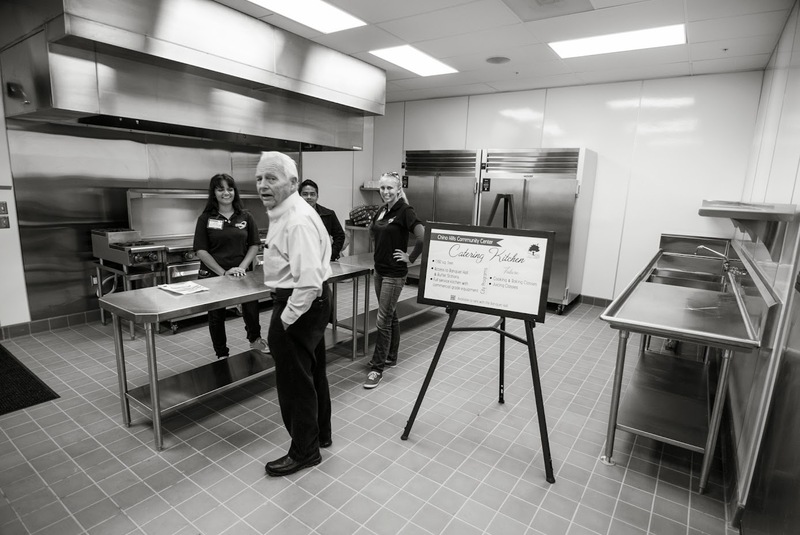 Aside from In & Out burger, you can have other outside caterers cater your event. Thus your food can be exactly what you want it to be other than to be tied down to a venue's kitchen staff. The larger issue is of course that there are cultures who cannot use the vast majority of venues in Southern California because they have certain dietary laws or customs which more or less demand outside catering. The one that comes to mind the most are folks from India Finding venues that will allow outside catering is always a challenge. Finding nice ones where you would want to have your wedding at, with dates that are still open is an even larger challenge. There is a nice gazebo outside and the grounds to make a perfect outdoor ceremony site. Though the venue can only hold around 250 in the ballroom the ceremony location simply blows away that of the Diamond Bar Center. It's on par with some of the nicest outdoor ceremony sites and brings to bind nice sites like Yorba Linda's Black Gold Country Club. Seriously it's very impressive and I will be certain to get a shot of the grounds set up for a wedding when they start holding their first weddings. The area has very nice landscaping though the grounds are new. If for some reason you desire more greenery there is plenty to be found not too far away. 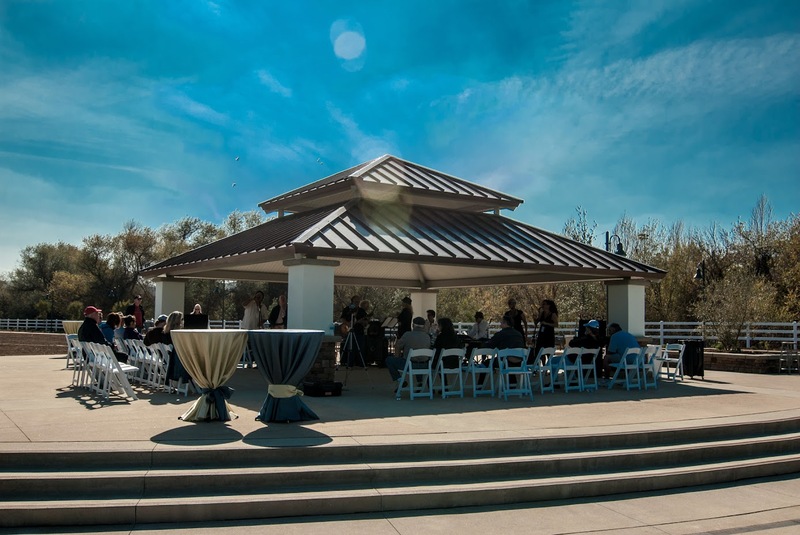 There are more than a few very nice parks in Chino Hills where you could take wedding pictures including parks with waterfalls and lakes as well as open land with rustic looking fences and greenery. Sometimes brides don't want to be seen by their guests before the ceremony and thus it's a good thing to have nice options in the general area that are close by but eliminates the potential of being seen before the wedding. Within a ten-minute drive, there are numerous very nice parks for wedding photos. Afterwards the grounds of this venue are fine for romantics and all the family photos. I rate this venue very high for photographic potential. Something else to consider is that the vast majority of new photographers like to shoot people in the shade, there are a few very nice open shade spots in this venue. The only two things I would say about this venue since I've never seen it in action are the following. Traffic- Since it's located directly across the street from Ayala High School you may want to be to keep that in mind if you're planning any events on the weekdays where the school is in session. The traffic in the area comes to a standstill when the school lets out. There is also a bit of traffic when sports let out at the park next door, though not as severe. Location- It's hidden a bit, and though it's only a few minutes from the freeway people may have a hard time finding it though it only really involves one turn once you get off the freeway ( off at Grand, left on Peyton). Temperature- Oh my, Chino Hills, does get a bit toasty in the summertime. There are other established wedding venues in the area including Los Serronos Country Club and Western Hills Golf Course. It's easy to say that Chino Hills Community Center is yet another venue for them to compete against. I believe it will do them more good than harm. From what I can tell you about what I've seen work well in the past is that a city needs a few strong venues to attract people. A good example of this are the Temecula wineries. The more venues the Temecula wineries added the more of a draw it was to brides far outside the area. I believe that brides from the IE have a good reason to stop off and give Chino Hills a look before heading into Orange County to book a venue. I also think that Chino Hills has enough going for it to draw brides out of Orange County and Los Angeles county to book their weddings. I also think that it will help out the Diamond Bar Center because now there are two spectacular community center venues within a 15-minute drive of each other. You don't have to be a citizen of Chino Hills to rent this venue, but if you are (or can find one) you'll get a better rate. The rates are fair for non-residents thus you don't have to stress about it. If you say that we live in Chino we'll politely correct you and say we live in Chino Hills. Just as Laguna Woods and Laguna Beach aren't the same place though they are close to each other Chino Hills has it's own identity. Chino is a large city with diaries, prisons, and large industrial warehouses along with some great little communities. On the Chino Hills side we're more a bedroom community. We're a young city with a focus on kids, parks, and dogs. The city rallies around our no kill shelter known as "The Orphanage" and is connected via Facebook. it's a great place to raise a family. We're a multi-cultural, multi-religion based community where you can lay down roots. We're not an ideal choice of a city for young kids who want to party in their early 20's. Chances are, if you're reading this and planning a wedding those years are perhaps behind you. If you want to move into a community and stay for decades while sending your kids to some fantastic public schools then you should check out Chino Hills. San Diego is an hour and a half away with easy access from Interstate 15. Las Vegas is four hours away and downtown Los Angeles is about 40 minutes away without traffic. The are Metrolink stations in Corona and Pomona that are fairly close by. You can realistically live in Chino Hills and use light rail to go to and from downtown Los Angeles on a daily basis. Traffic is very heavy out of Chino Hills to Orange County and Los Angeles during usual traffic times. Though we're centrally located there will be gridlock until these problems are addressed. With that being said I've never seen worse traffic than when I lived in Laguna Hills back in the 90's. Traffic is bad nearly everywhere in the metro LA basin.